Lately, donkey meat has become the flavor of the month and snake oil salesmen are pitching its milk as a panacea. 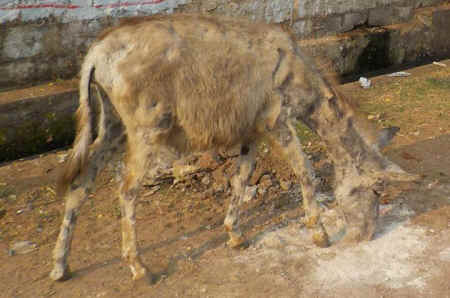 Pictured here is one of the many donkeys who are joining the cows and pigs on the streets of Visakhapatnam. Lately, donkey meat has become the flavor of the month and snake oil salesmen are pitching its milk as a panacea. We have to stop this slide down another slippery slope for the animals. Visakha Society for Protection and Care of Animals (VSPCA) is speaking out against the donkey milk hucksters and saving many donkeys from their clutches.